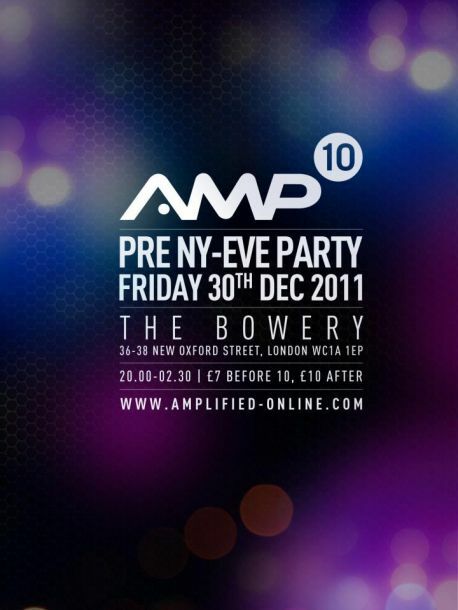 The AMPLIFIED PRE NY-EVE session, with the full DJ line up of Zak, Bemi, Akasha, Que Rhythmic and JC, returns to central London for a night of progressive music past, present and future, alongside a classic AMPLIFIED selection. This entry was posted in Event, News and tagged Amplified, jc/soulrocks. Bookmark the permalink. Follow any comments here with the RSS feed for this post. Post a comment or leave a trackback: Trackback URL.